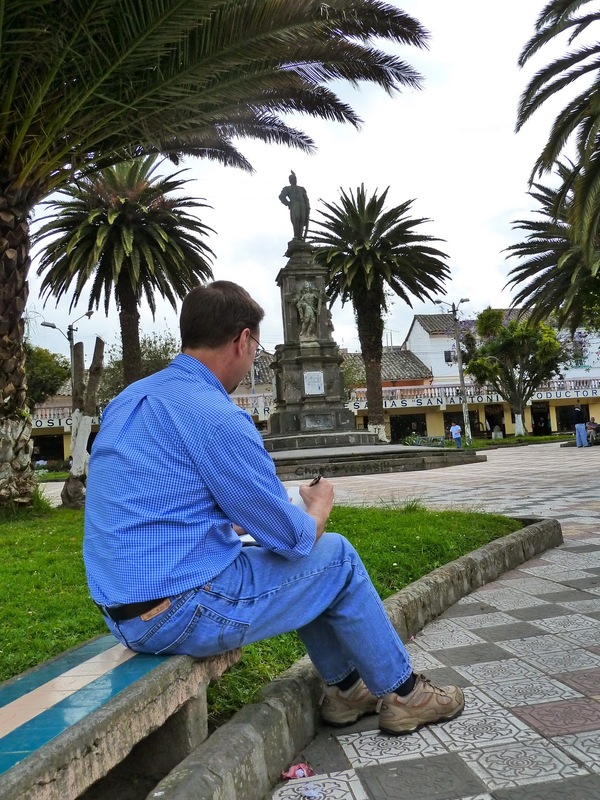 It was a beautiful day when we stopped in the small village of San Antonio de Ibarra to sightsee a little bit. I was drawn to the village square and to this statue. I would almost rather bring back a sketch than some curio. 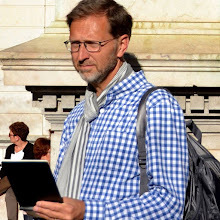 Tell me something, my guess is that you used to sketch or doodle when you were younger - why did you stop? While I was sketching a bird stopped and landed on the head of San Miguel de Ibarra. Cool. Click on the picture below if you don't believe me. As usual I made a quick pencil sketch and then finished it with ink on the flight back home. Hello Tim, I came across your blog because I'm a friend of Rachel Phillips and I love seeing your sketches. I, too, draw from time to time but more out of my head than what's in front of me- I enjoy sketching at work or in church too. 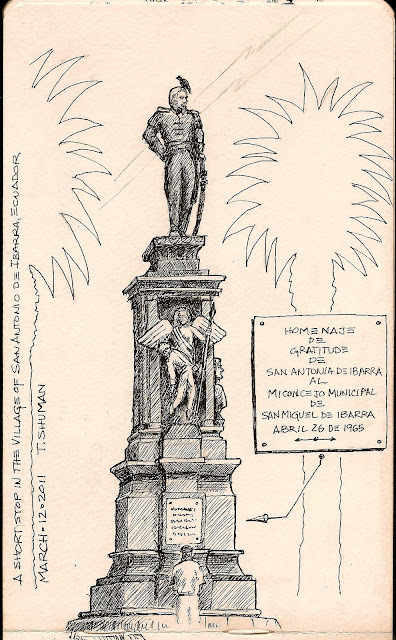 Great Quito sketches!